I have a 3 light setup, 2 have white umbrellas, and one has a black umbrella with silver lining, it has been a while since I took a photog course and hoped it would come back easily... It has not. I tried to take some photos of a newborn last night in RAW (for the first time, as I had always taken in JPEG before but was suggested on another site I give RAW a try) and was not happy with the outcome, I used one of the white umbrella lights and the large window on the opposite side of the babe for some natural light. anyway after all that I am not sure if what I have read via Google is correct or not anyone able to shed some light and help me out? the baby is coming back for round 2 tonight (Momma is a friend of mine) and I am really hoping to get some better crisp clean photos! It would be nice to have more information about the lighting and about the shoot and post-processing used. Were you using a tripod? What exposure compensation was used in the post-processing? Any other information you can provide may help to provide answers. Tungsten lights are not energy efficient and produce less color tonal width and clip highlights and crush blacks sooner than full daylight spectrum lights (like daylight balanced flash). Tungsten Halogen lights have a broader spectrum, but get very hot and present a fire hazard as well as a burn hazard for living subjects and burnable/meltable surroundings. Using flash lighting yields larger eye pupils, which most folks find more flattering in a portrait. Compact flash with a focus assist light helps with both AF speed and AF accuracy. Hot lights can still be valuable for background lighting or still lifes, but with the cost of inexpensive slaved (and slave-able) electronic flash, the benefits of hot lights are greatly diminished. Cool continuous lights, fluorescent lights primarily, are great lights for BW photography, and the high-end units are used for some commercial color work. Daylight balanced compact fluorescent are OK now for objects that don't require tight color balance, but I don't think they are quite ready for most portraiture or other applications which require more subtle and accurate tonality. 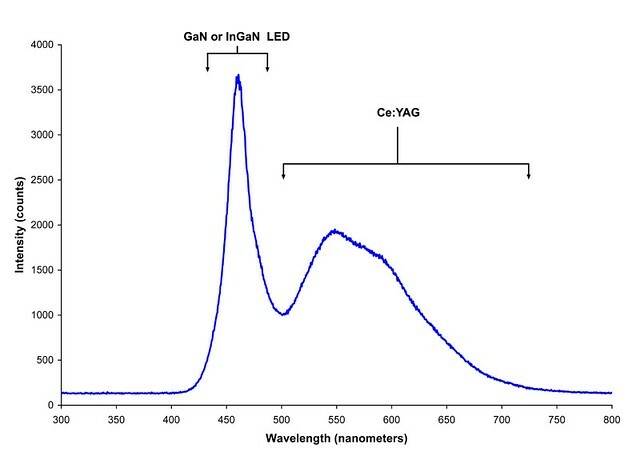 The reason is that inexpensive daylight balanced compact fluorescent phosphors are still not a complete continuous spectra. Regarding LED lighting, LEDs are not a continuous spectrum. White LEDs are really just red, green and blue emitters in a single package. A discontinuous spectrum can not be easily compensated. You would have to know the nature of the spectrum and any major breaks in the spectrum would not be represented at all. (The image might be effectively "color blind" to some shades and hues.) You cannot compensate for what is not there. to do with the focus aspect.